Crimean plants may have adverse effect on the ecology of southern Kherson Region. Russian may be producing components of chemical weapons in Crimea, the Ukrainian president's envoy in charge of Crimean affairs, Borys Babin, has told Ukrinform. He was commenting on reports about the emission of an unknown substance in northern Crimea on 27 August. 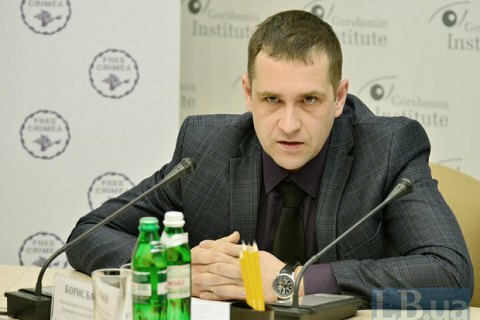 Babin said that environmental problems caused by the illegal activities of companies in the northern part of occupied Crimea had been affecting not only the town of Armyansk but also the neighbouring population centres in Kherson Region. "We will insist on launching a correspondent ecological monitoring to have a clear assessment of an ecological disaster on the government-controlled territory as a result of illegal activities of enterprises in northern Crimea," Babin said. The enterprises in question are the Armyansk-based Tytan plant and the sodium and bromine factories in Krasnoperekopsk. According to Babin, titanium produced at the Tytan plant can be used to paint subimarines and missiles, the output of the sodium factory is used in the glass industry, while products made by the bromine plant were used for manufacturing chemical weapons during Soviet times. "Considering all the known scandalous cases of Russia using chemical weapons in Britain, I do not rule out that Russians may have restored the production of components for chemical weapons at corresponding enterprises in Crimea," Babin said.